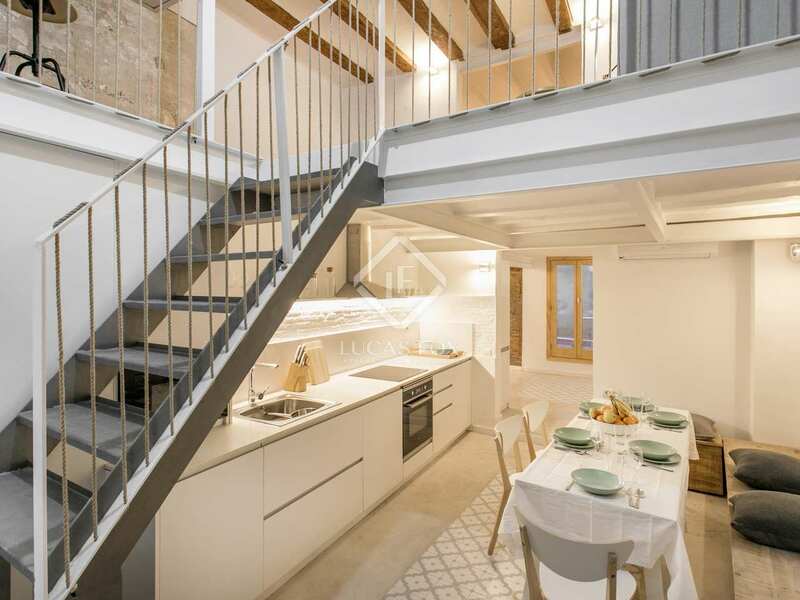 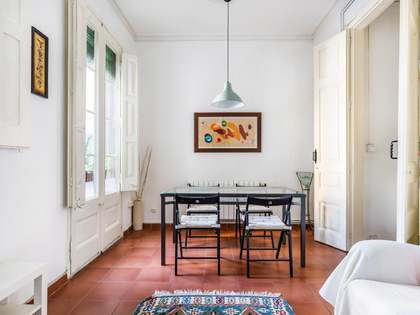 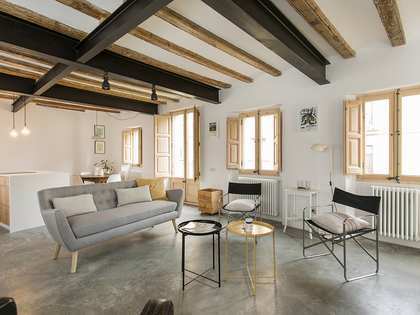 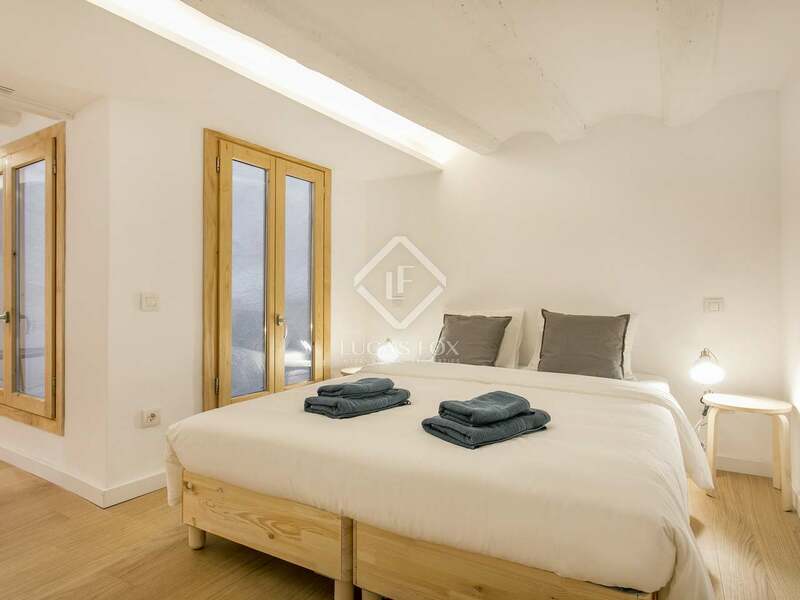 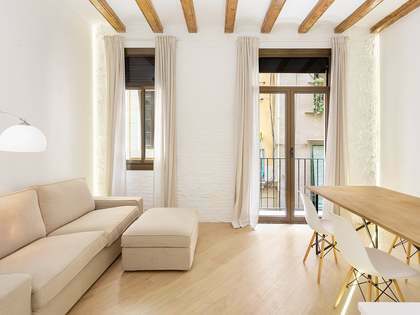 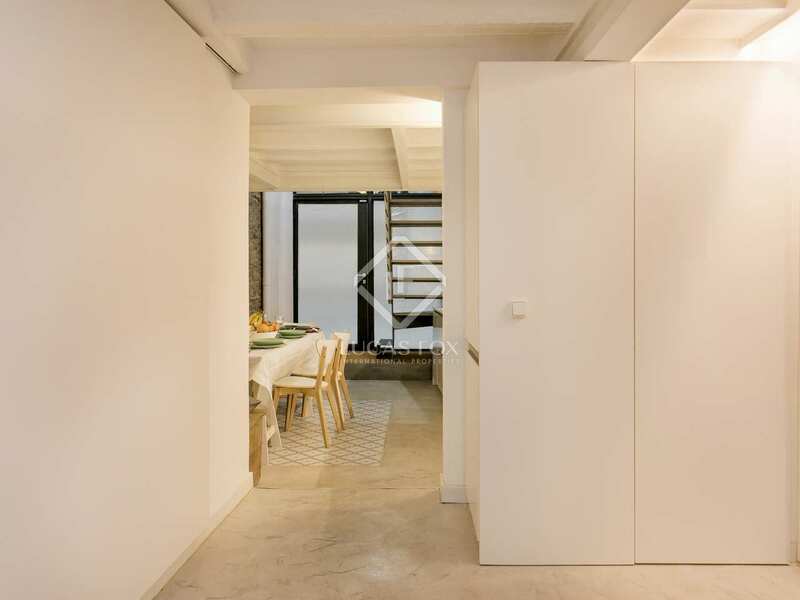 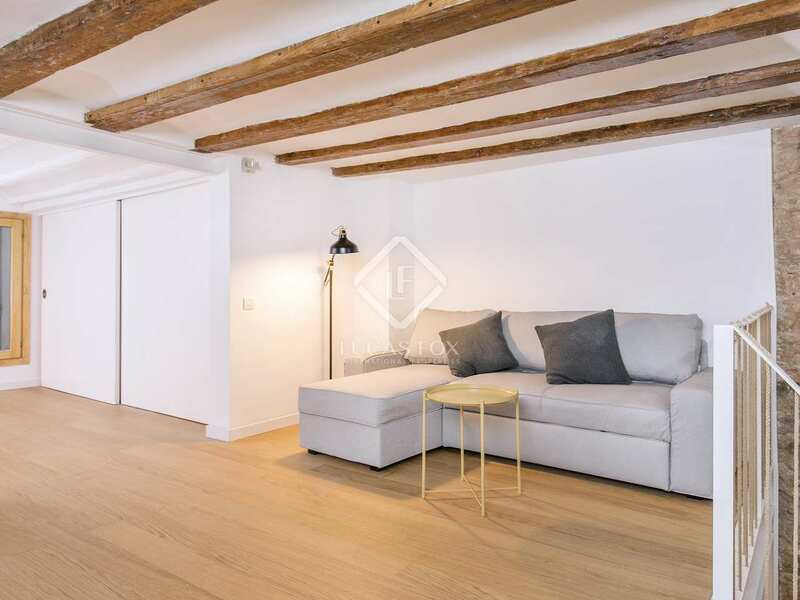 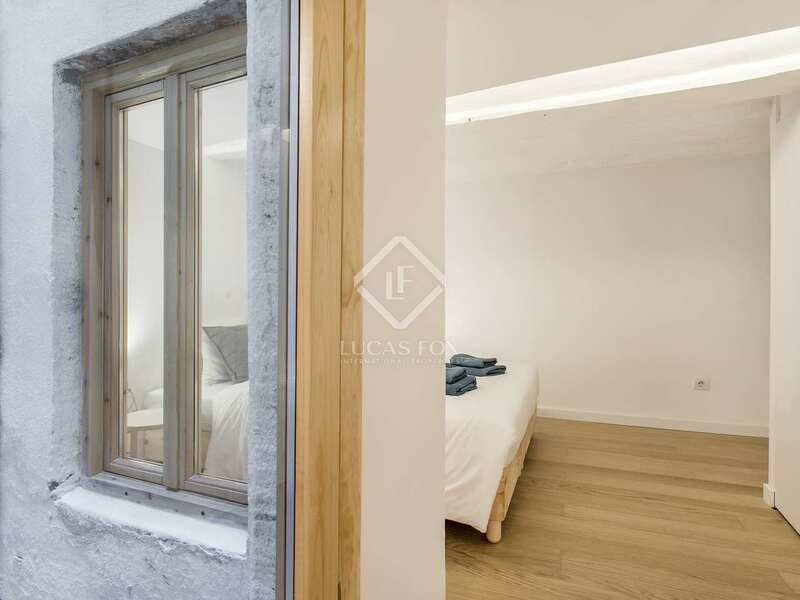 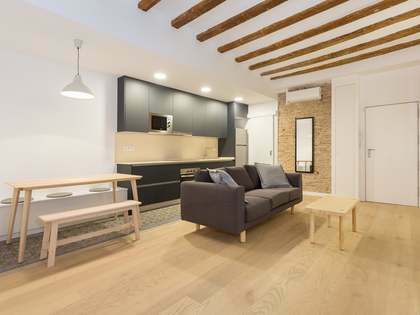 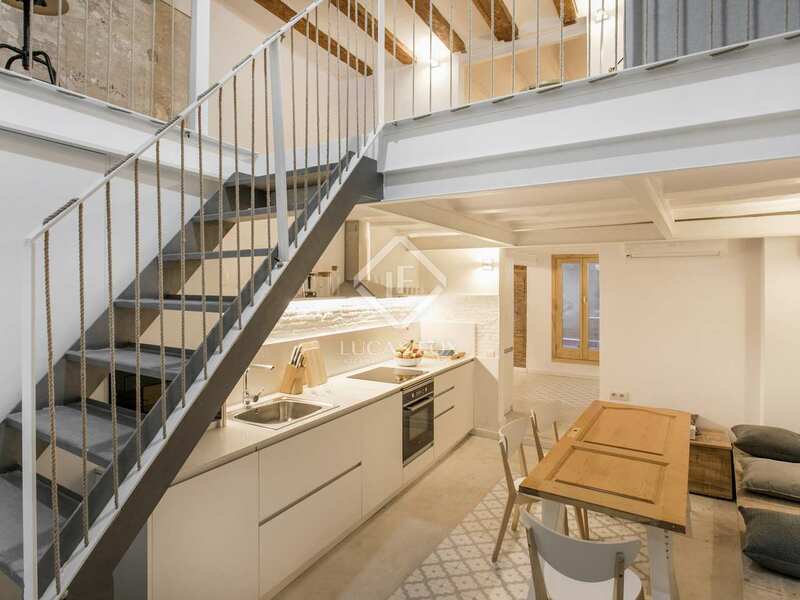 Architect designed property with clean lines and white finishes in a prime location next to Santa Caterina market in the coveted Born area of Barcelona Old Town. 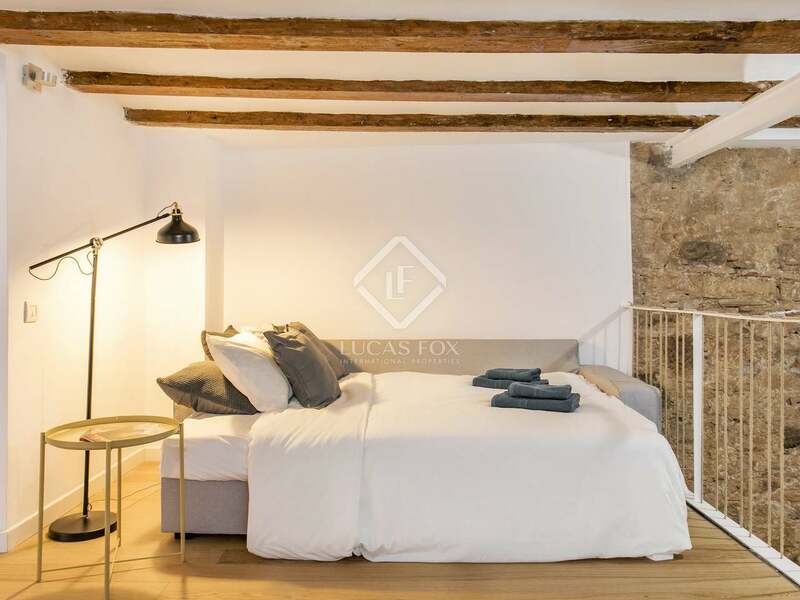 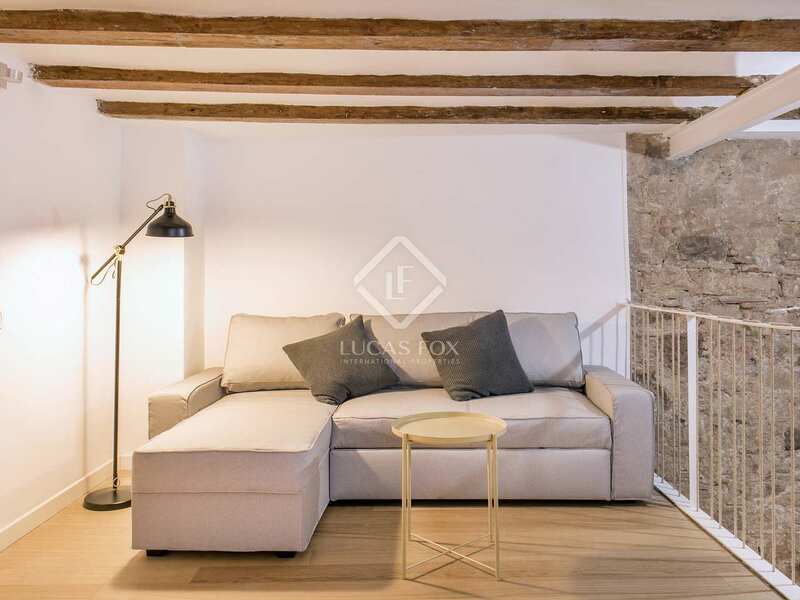 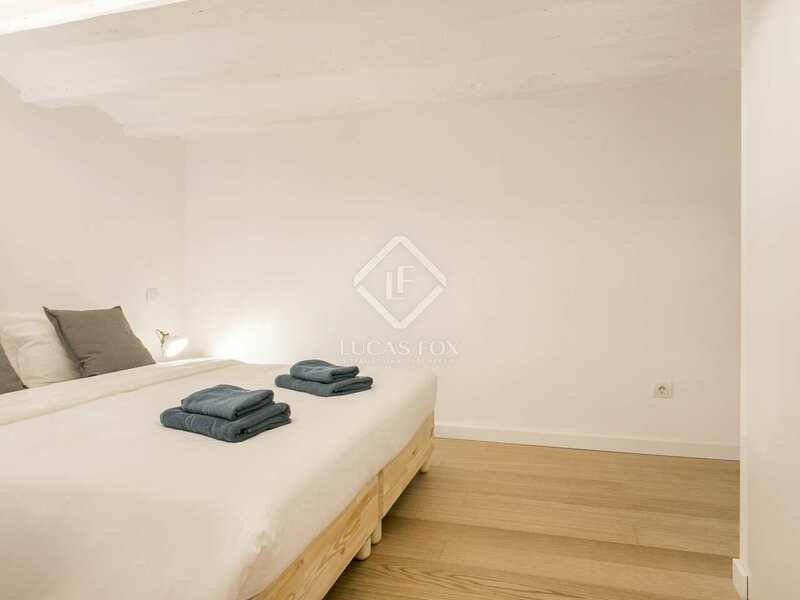 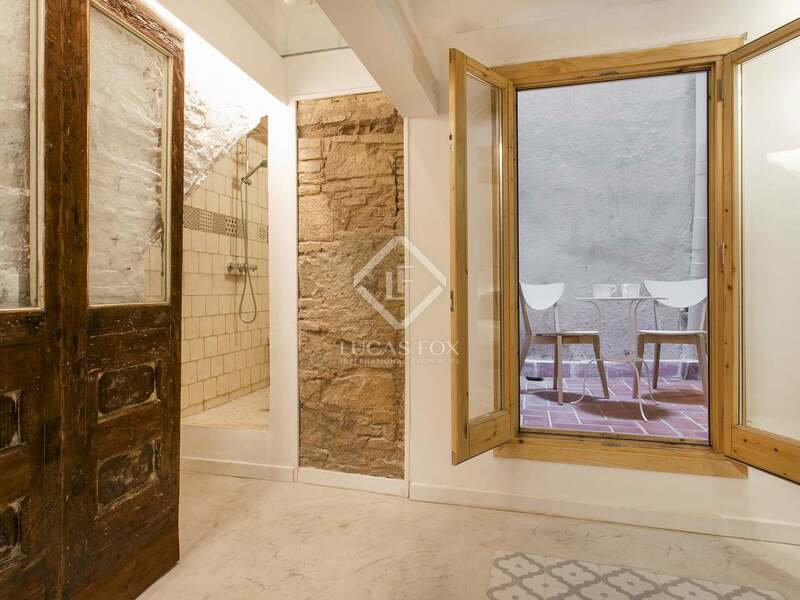 In an unbeatable location in the trendy Born area of Barcelona Old Town, we find this unique duplex property for sale. 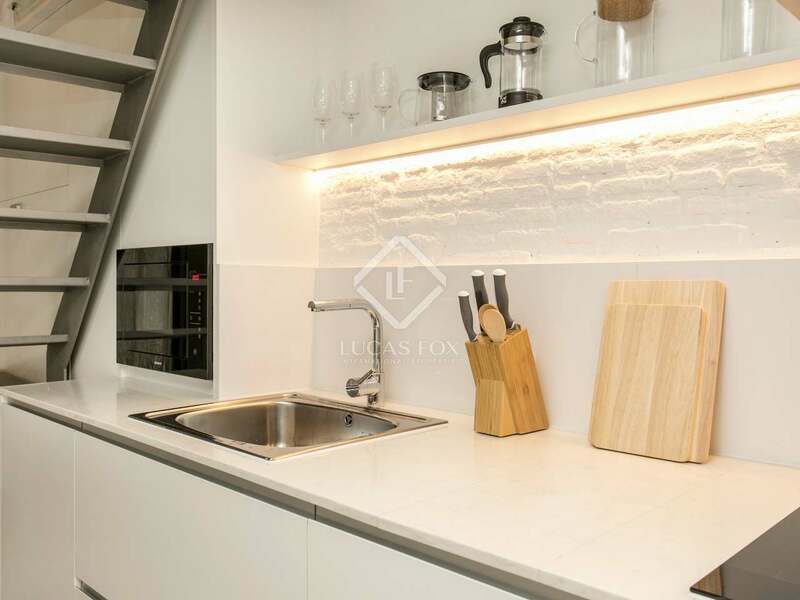 It enjoys independent access from the street that leads into a beautiful, spacious open plan kitchen / dining room which is large and very well equipped with quality appliances. 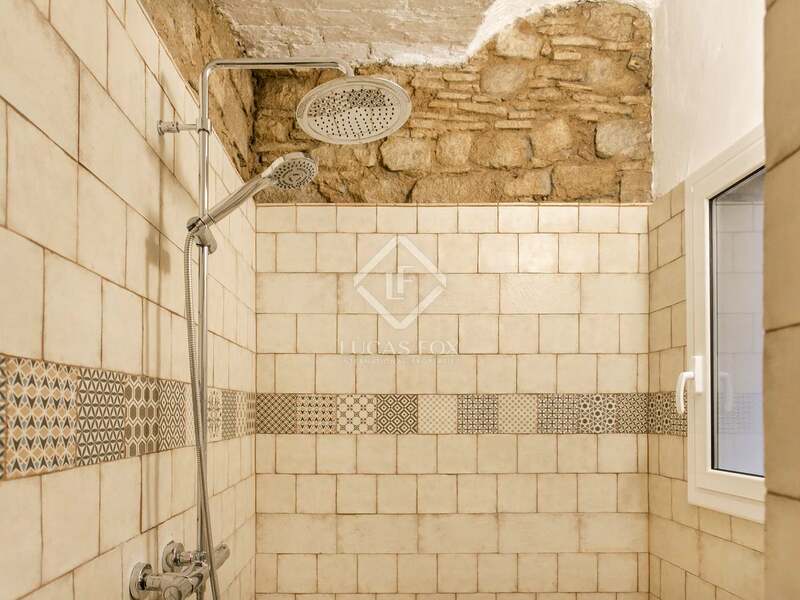 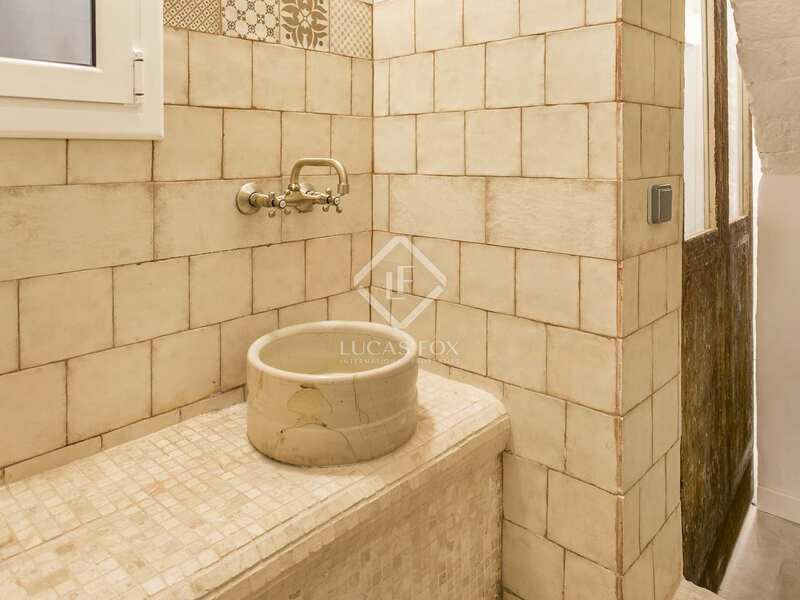 Also on this level of the property there is a patio and a bedroom with a spacious hammam style bathroom. 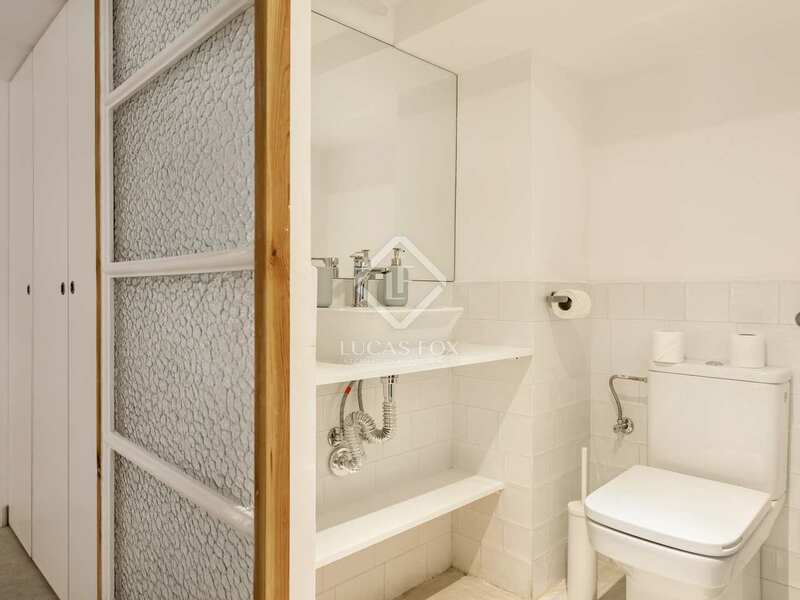 On the first floor there is a spacious living room and study area as well as a bedroom with a bathroom with a spacious shower. 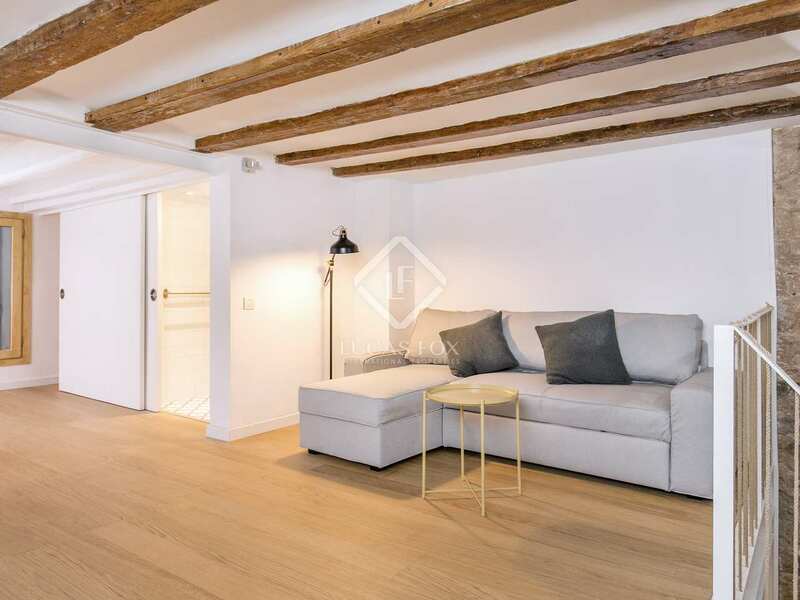 The apartment has been carefully designed for maximum ventilation and the architect cleverly integrated some of the original features, creating a stylish and comfortable property that is perfect for couples or individuals seeking a pied-a-terre in the city. 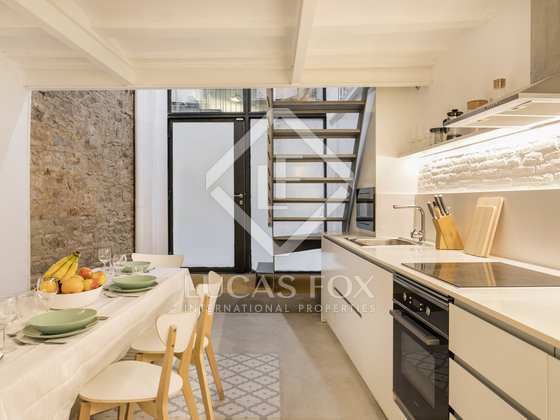 According to the Nota Simple, the ground floor and the upper floor measure 53 m² each, providing a spacious home that is being sold in perfect, move-in condition, complete with designer furniture. 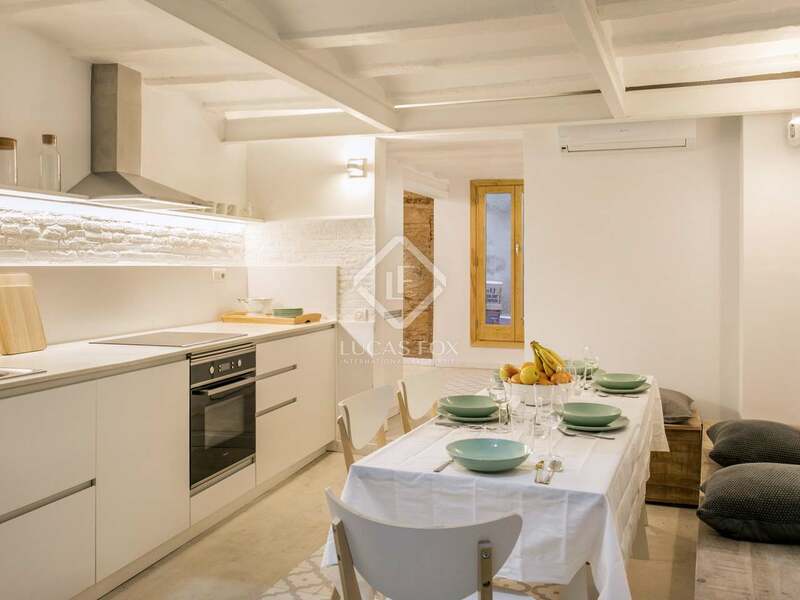 This is a fabulous opportunity to acquire a property which is perfectly adapted for use as a private home below the average market price as it does not have a certificate of occupancy. 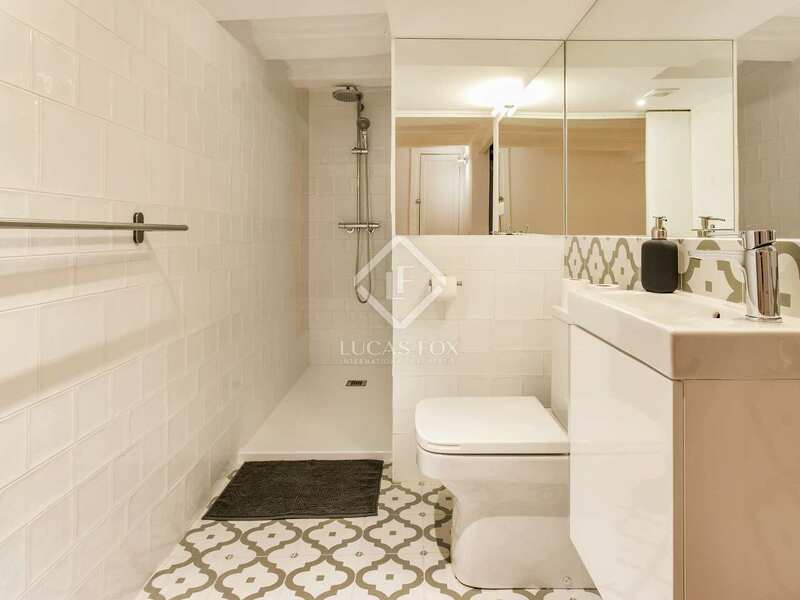 It would also be an interesting investment option given its desirable characteristics and location in the trendy Born neighbourhood. 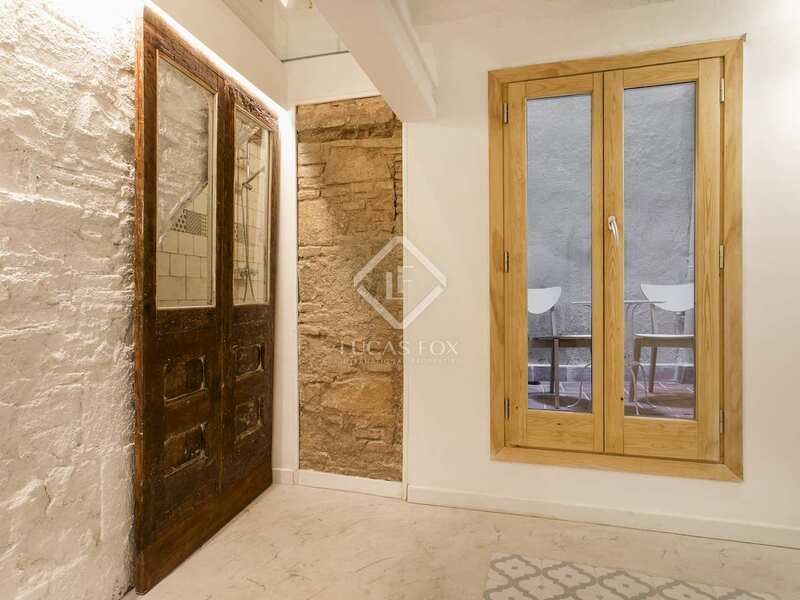 Contact us for further details or to arrange a visit to this very special property. 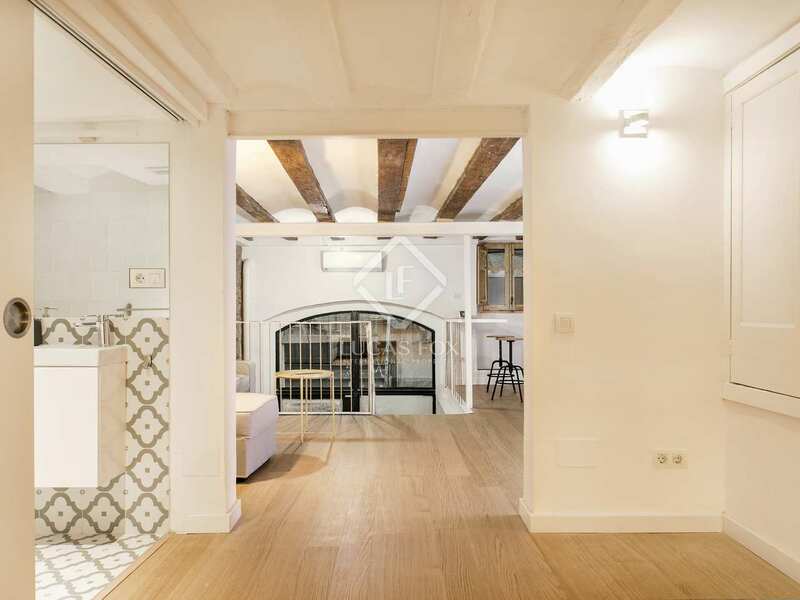 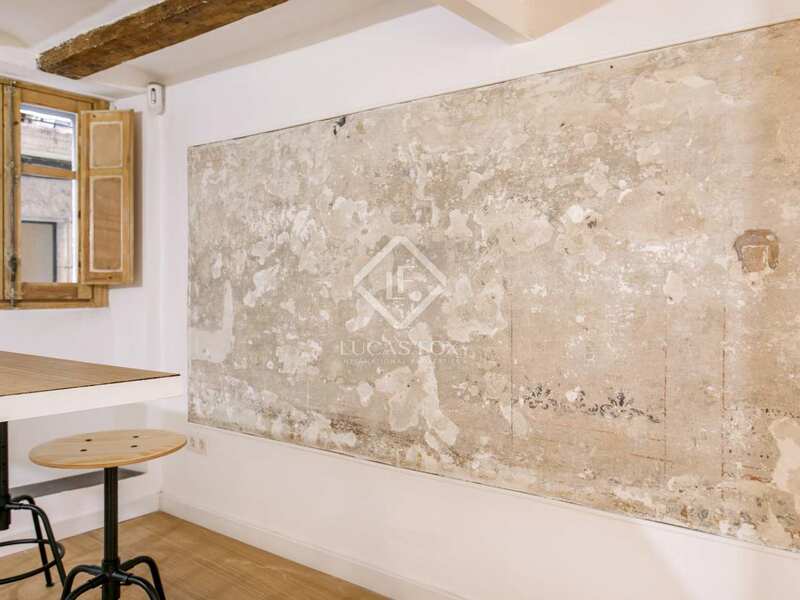 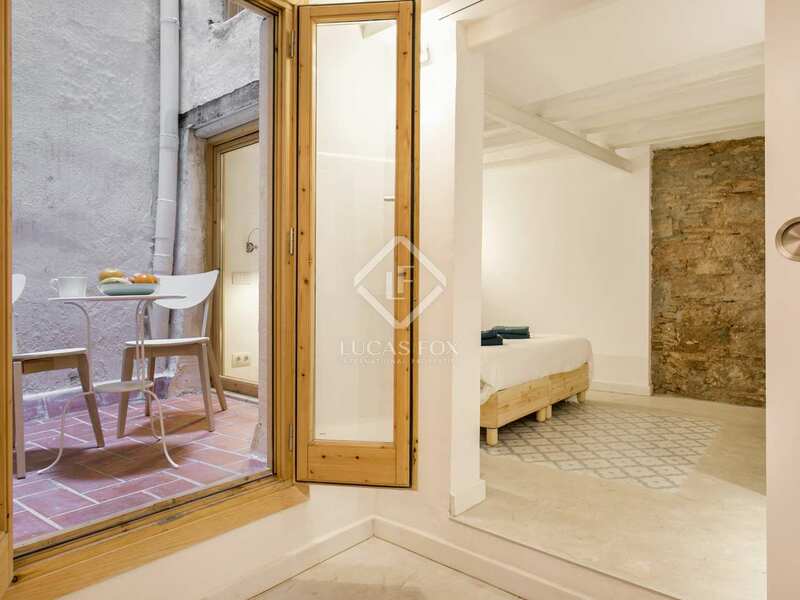 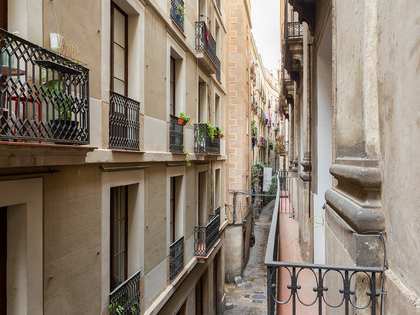 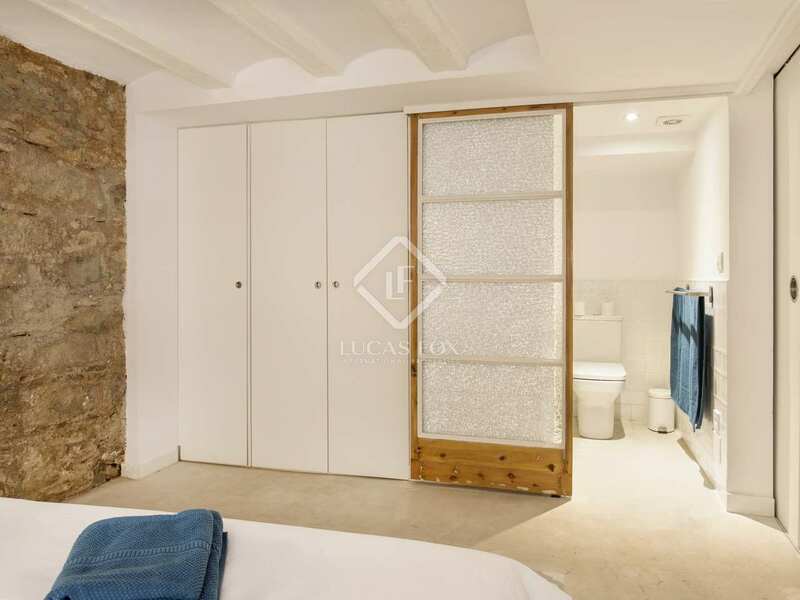 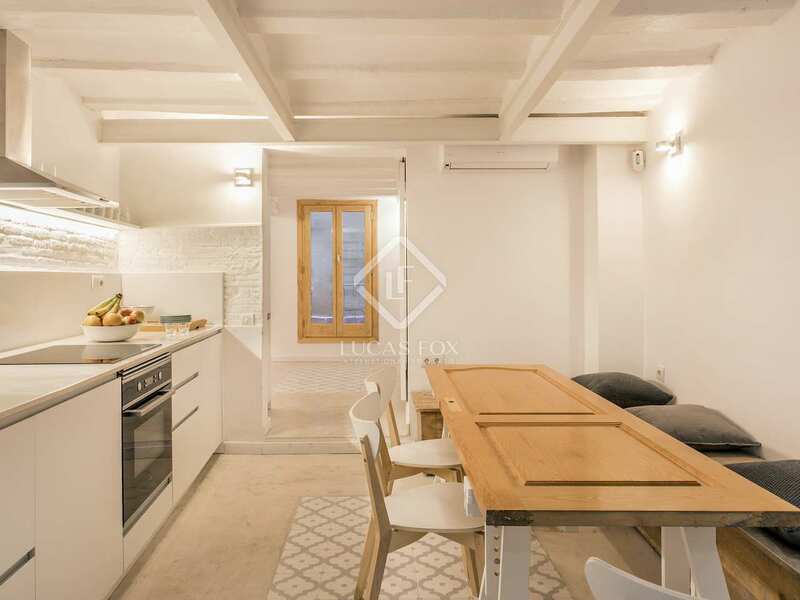 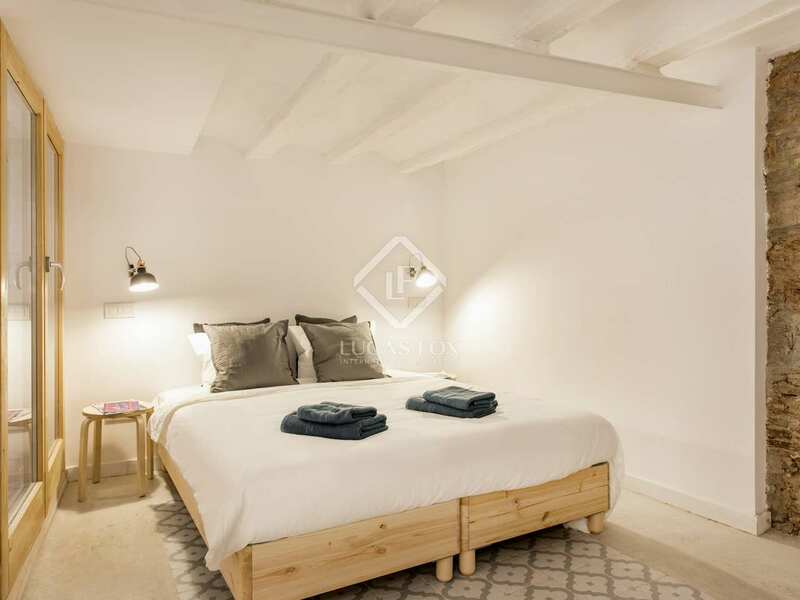 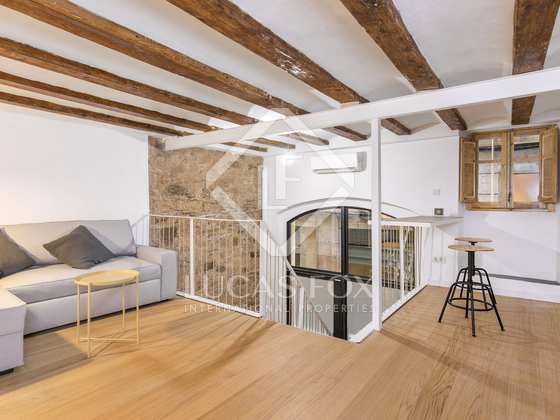 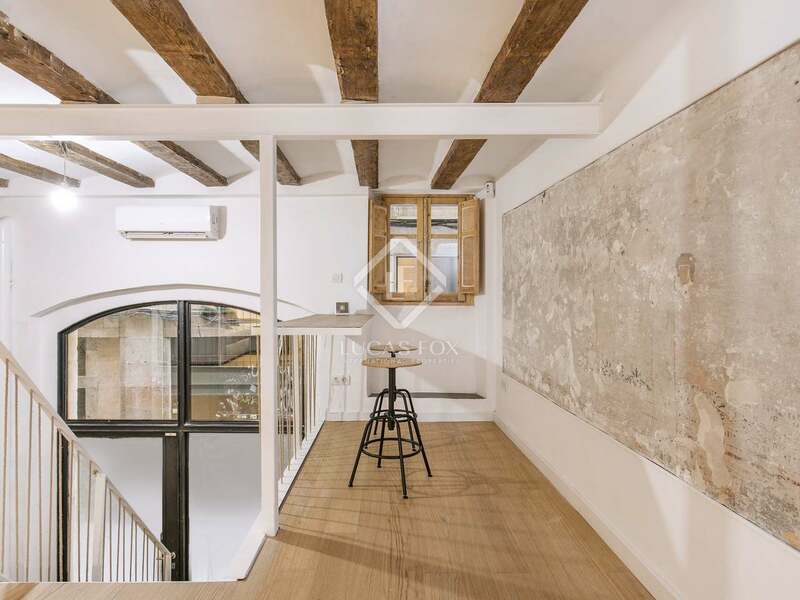 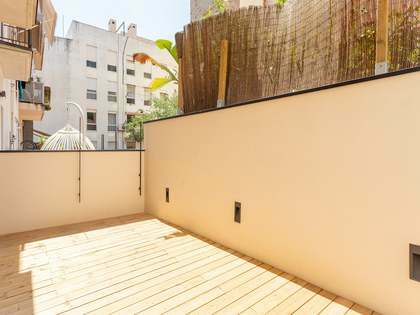 Property for sle in a prime location next to Santa Caterina market in the coveted Born area of Barcelona Old Town. 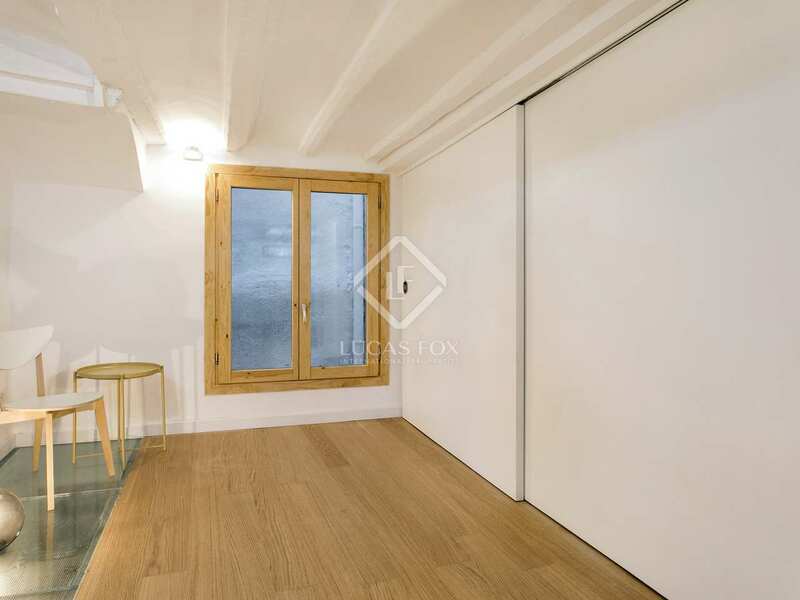 This is an excellent central location with all manner of services, shops, restaurants and public transport on the doorstep.